This winter I’m glad to have a little bit of Alphonse in my life. Toasty and inviting with cozy booths and a big glowing wood fire oven in the back, this U street Italian deli and restaurant is the perfect spot to thaw your toes and fill your belly. 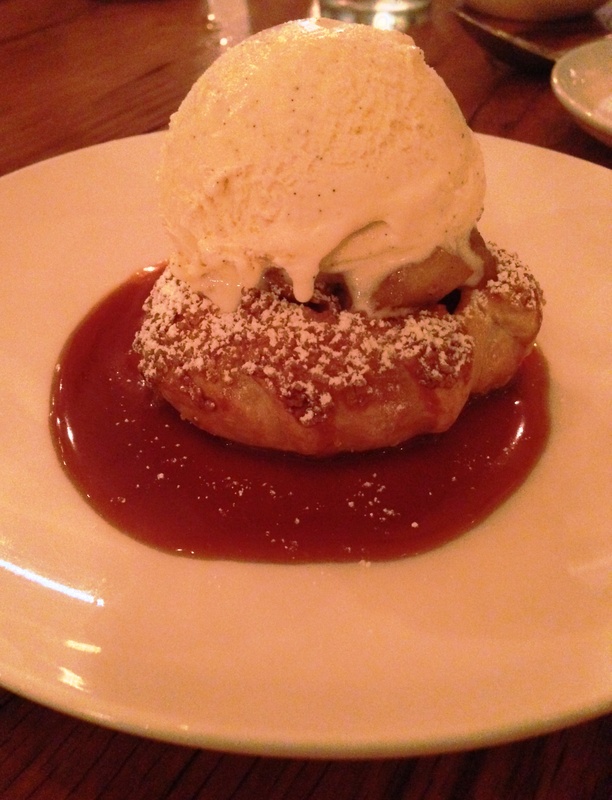 Comfort food appears before you’ve had a chance to shed layers. On our first visit we were greeted with cheddar rolls, on another with a cast iron skillet full of fresh garlic knots. Now that you’re off to a warm start, skip the antipasti and go straight for the hot stuff. 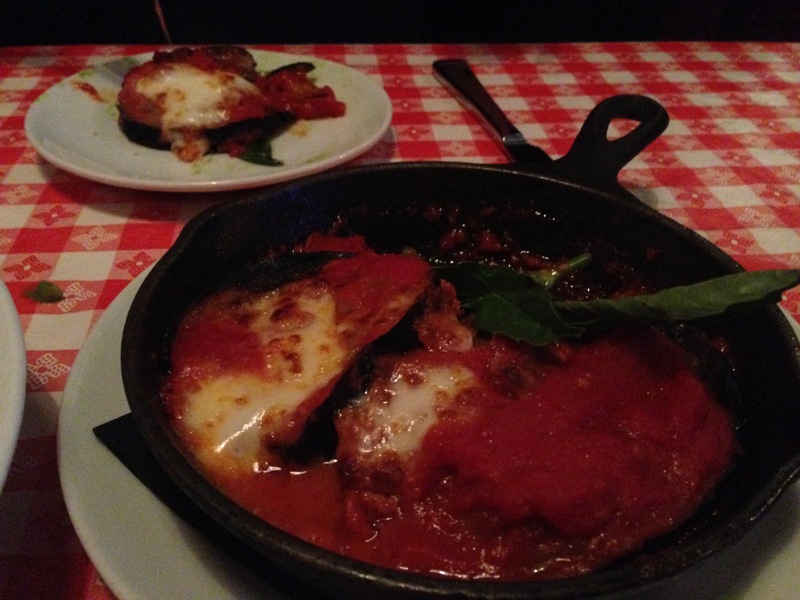 Nonna’s eggplant parmesan is, for better or worse depending on your mood, just as Grandma would make it: thick slabs of eggplant, a thick layer of cheese, and generous pools of olive oil in chunky tomato sauce. The pizzas are solid, particularly the classic margherita, but pastas are where it’s at. 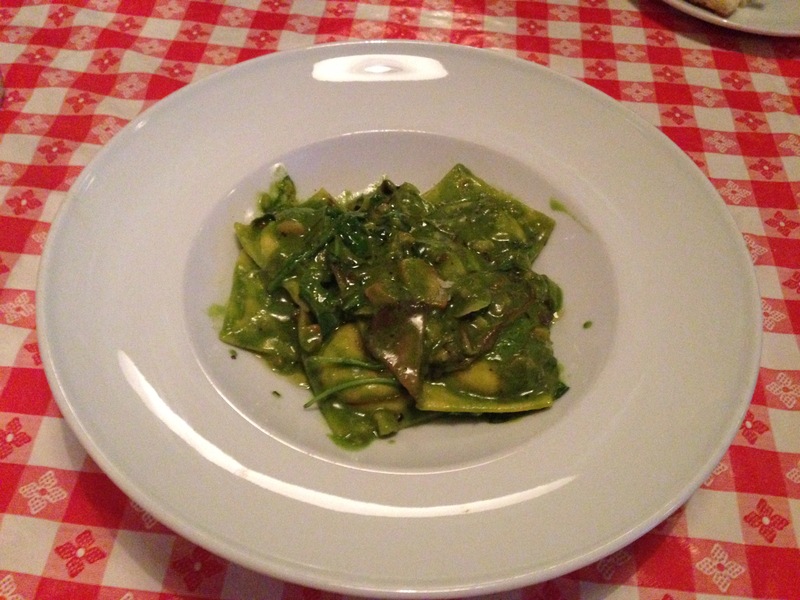 On both visits we thoroughly enjoyed ravioli with creamy mozzarella filling and a bright, lemony arugula pesto. Tossed with toasted hazelnuts and sweet mushrooms, this dish is pretty much perfect. And on our second visit we fell in love with pillowy gnocchi and woodsy roasted mushrooms in a salty cacio e pepe cream sauce. To dessert! Here we have a tie between cara cara orange-scented cannoli drizzled with valhrona chocolate (drool) and super creamy tiramisu (also drool). 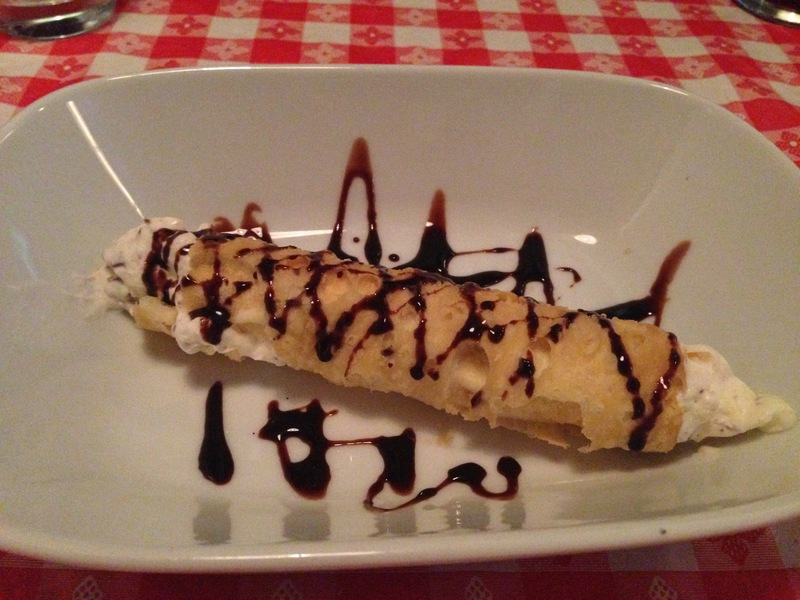 The first time around, the cannoli’s citrus-dark chocolate-cream combination blew us away. With these two desserts engaged in a nightly battle for excellence, your only choice is to order both and let ’em duke it out. Either way, you win. 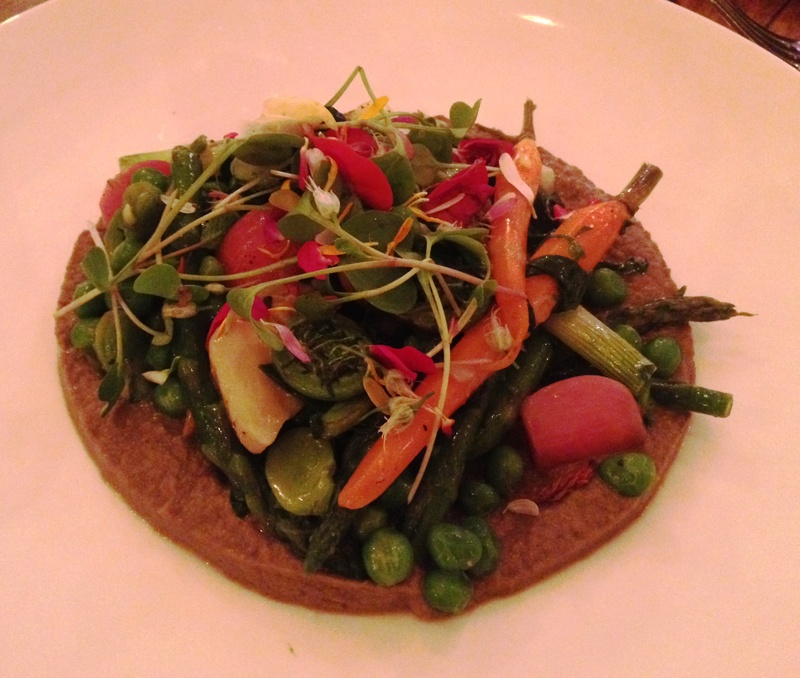 Don’t be put off by the small number of vegetarian options at Alphonse. The menu changes frequently; right now there’s a baked campanelli with fontina that beckons. Plus, given our success with pastas so far, next time we’ll try the perennially available spaghetti chitarra (the margherita of pastas?) instead of overlooking it for more exciting prospects. 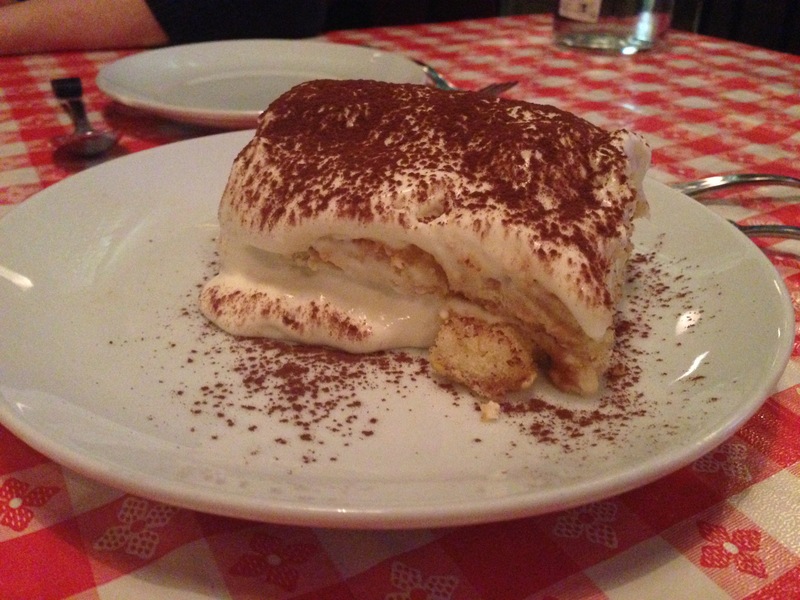 Speaking of exciting prospects, sophisticated sister restaurant Nonna’s Kitchen right upstairs serves five-course tasting menus that draw inspiration from different regions of Italy. With advance notice, the chef, formerly of Fiola, will whip up a vegetarian version of the menu. This might be tough for some of the more meat-centric regions (when we were there it was Piedmont in the north), but we’ll be keeping an eye out for a more amenable lineup. We fared well with banh mi stuffed with tofu skins on our first visit to Eden Center in Falls Church, but didn’t strike gold until last week at Thanh Van. Nestled in Eden Center’s Saigon West indoor complex (it’s #37 once you’re inside), this tiny, all-veg spot is a gem. Garden rolls – packed with fresh herbs, vegetables, and tofu, only 1) ours and 2) Sunflower‘s are better. 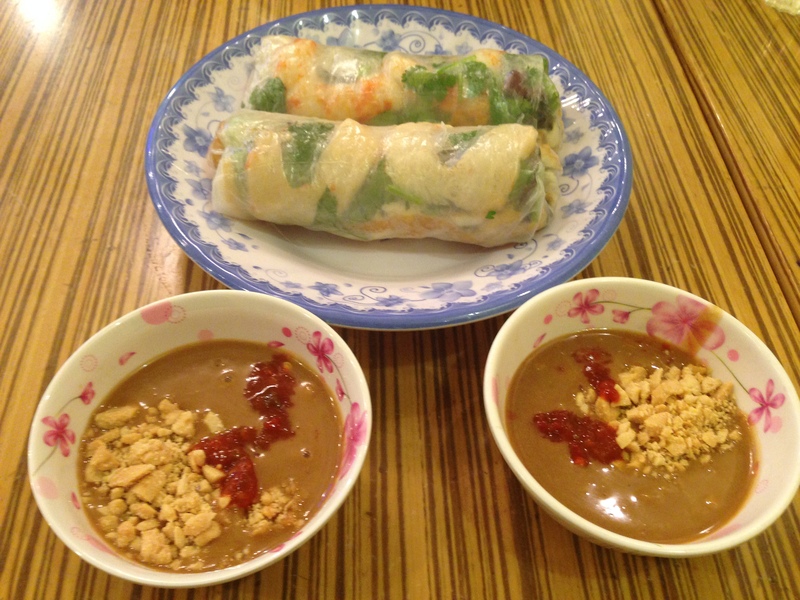 The peanut sauce is so good you’ll want two bowls. #5 Hue vegetarian spicy noodle soup – simply excellent. Possibly the most flavorful broth we’ve ever had, with a generous pile of various mushrooms, vegetables, seasoned tofu, seitan, and bouncy noodles. #15 combo plate – Order the broken rice plate and choose three items from the prepared food bar. 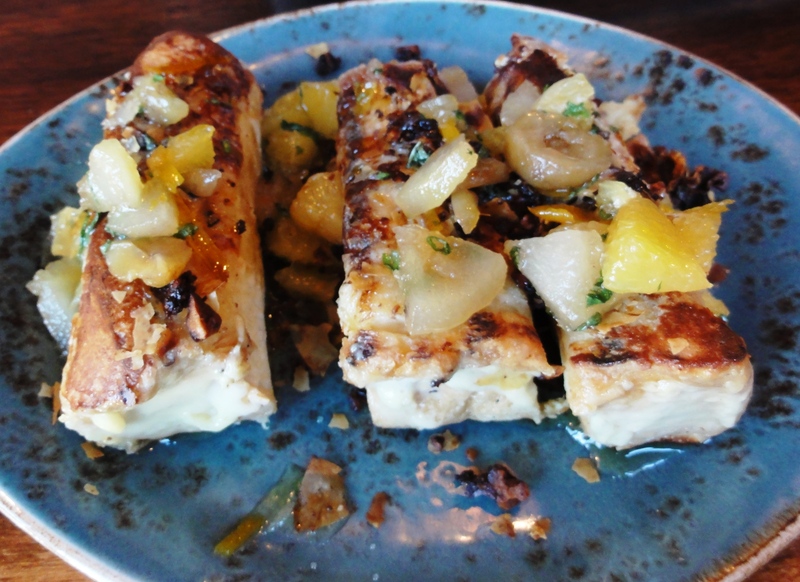 Both the lemongrass fried tofu and stuffed tofu, steeped in a delicate broth, were well-seasoned and not excessively oily. The plate comes with an extra bowl of also yummy broth to dump over everything. With satisfied bellies and to-go containers of leftovers in tow, we settled our bill of $20. Total. We might be city mice, but food and prices like these make us happy to visit the ‘burbs. You’ve probably walked past this townhouse on L street near Thomas Circle many a time, without knowing that some seriously upscale and creative un-cooking was going on inside. Mostly a catering company, Elizabeth’s Gone Raw is open on Fridays for two dinner seatings and occasionally on other days for special events. 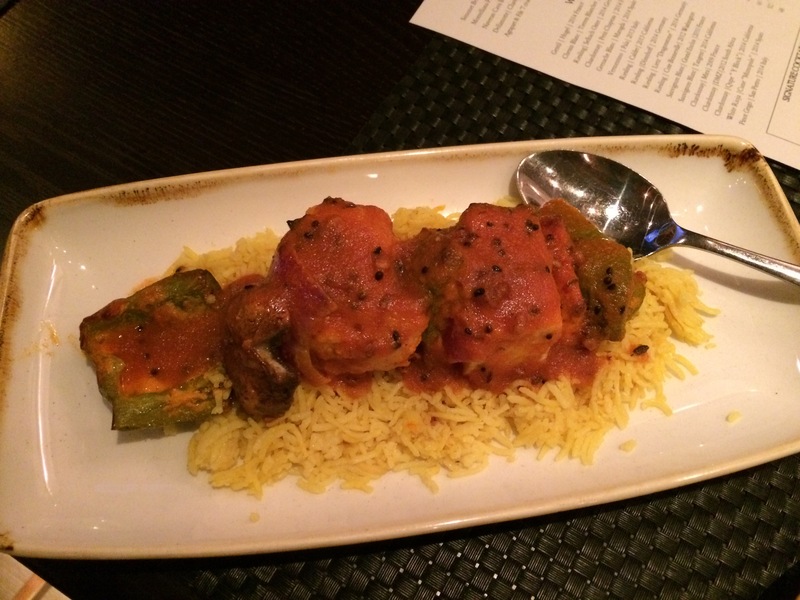 We went for the first time a few months ago for a special Thursday Meat-Free Week dinner. The evening started well with a friendly bartender and cacao pear cocktails at the beautiful, intimate first floor bar (there’s a larger dining room upstairs as well). 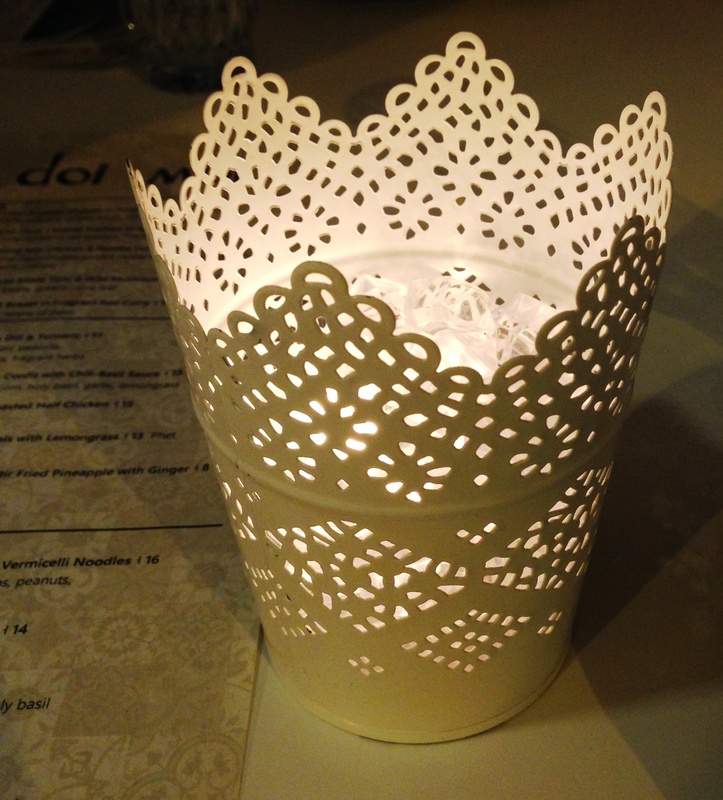 The night’s menu featured five small plates and a dessert. 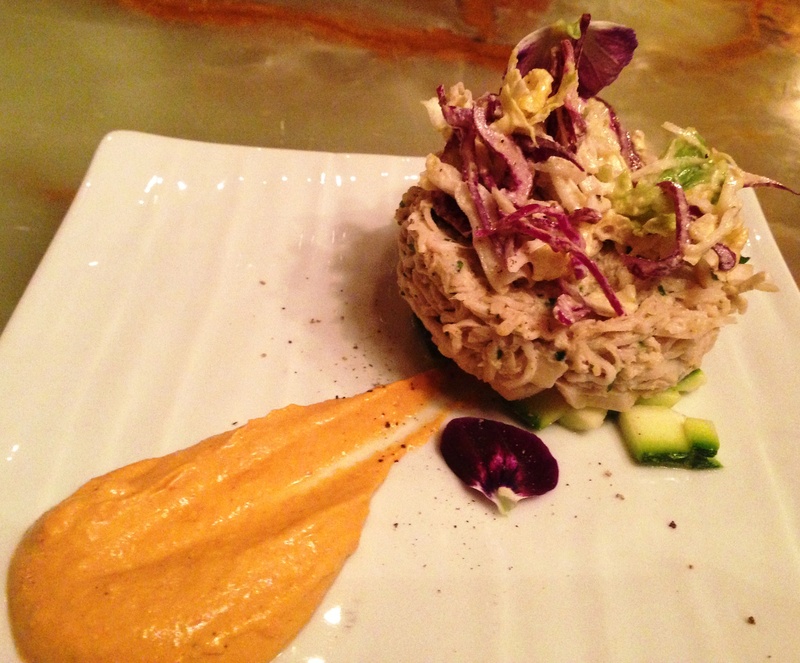 We began with “Crab” cakes made of shredded trumpet mushrooms and served with a creamy Old Bay aioli. While delicate and well-garnished, the cake itself could have used more flavor. Tacos were delicious, with how-did-they-do-that tortillas (something about soaking and pounding various grains and seeds) and a crunchy, spicy vegetable filling. Fried “oysters” (shouldn’t the “fried” also be in quotation marks?) 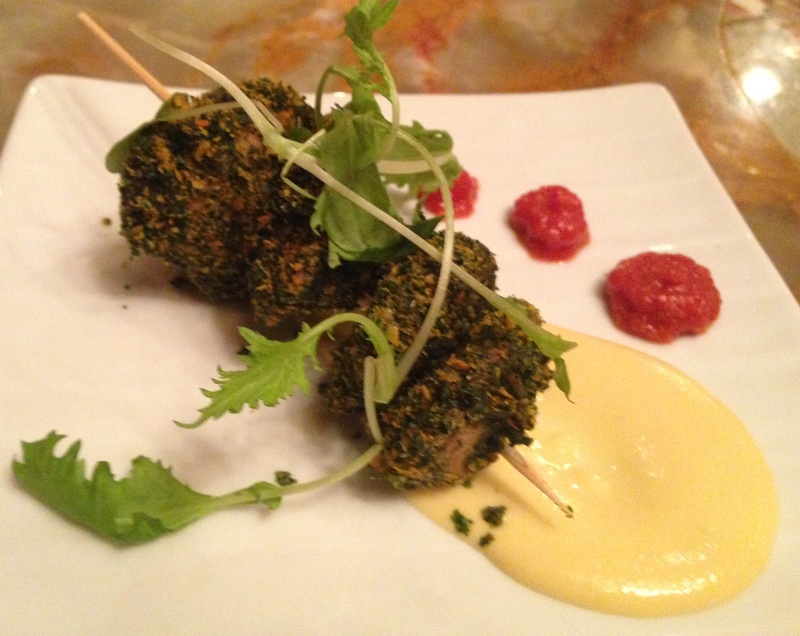 were also made of trumpet mushrooms, covered in Elizabeth’s signature crispy kale and served with horseradish cream and red pepper sauce. This dish was outstanding and easily our favorite. 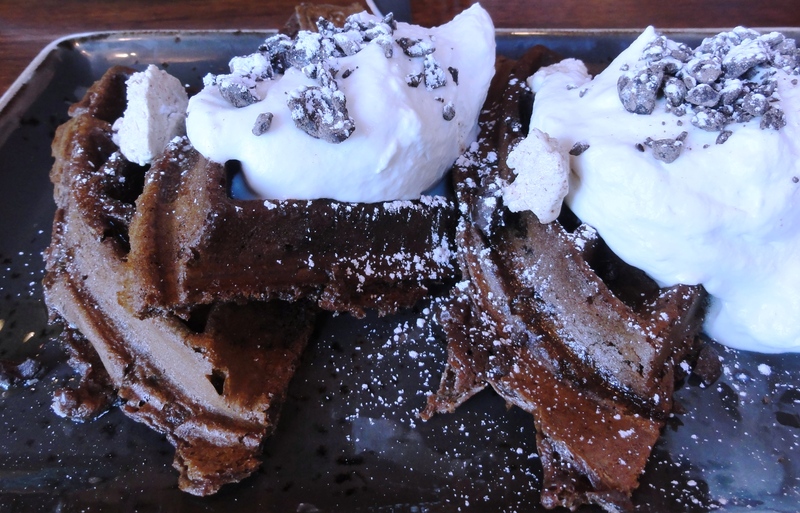 At this point in the meal, there were a couple more small plates that we hadn’t tried – a flatbread and grape leaves – but we had already spent a bit more than expected and were curious about dessert. 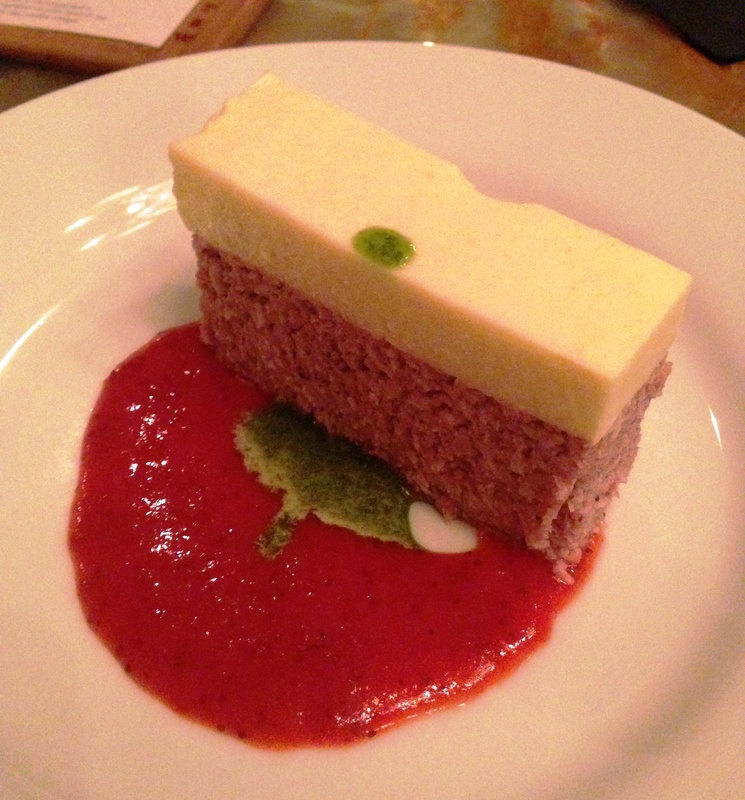 A strawberry cake made of coconut, macadamia, and zucchini wasn’t noteworthy but the lemon buttercream on top was perfect: tart and creamy yet light in a way that only something raw and vegan could be. 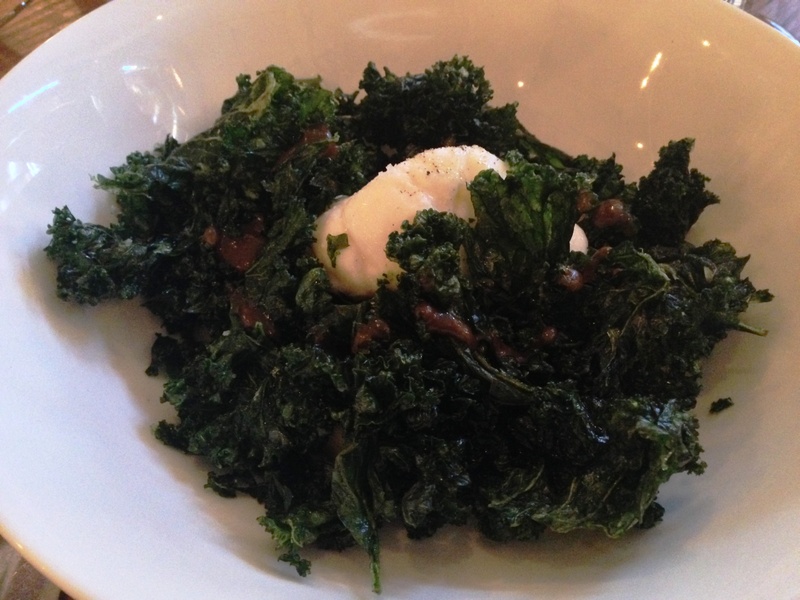 Elizabeth’s Gone Raw pushes the limits of what you might expect from raw food. We continually found ourselves wondering how various textures (tenderness and crispiness) and flavors (how does this not taste raw?) were achieved without cooking. We left agreeing that it’s worth a visit for the magic trick factor alone. The food really is a feat and the proprietors are clearly passionate about their craft. 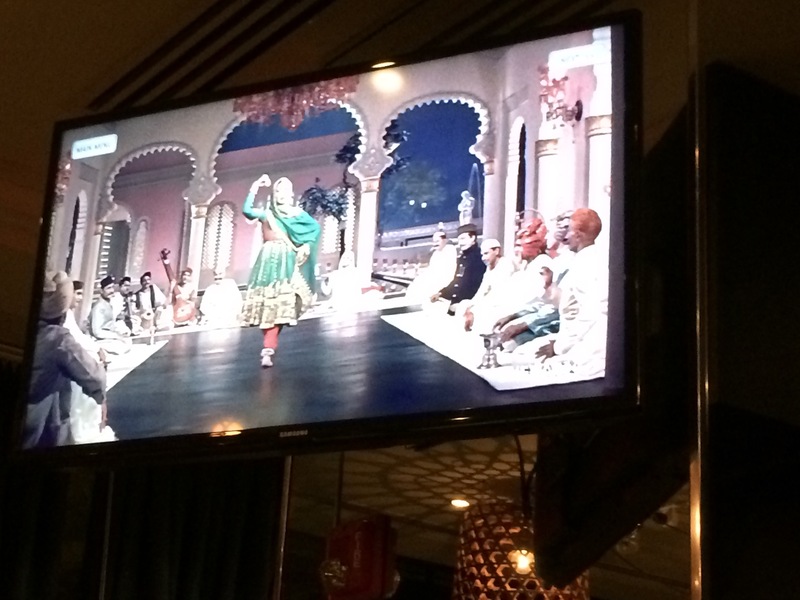 The ambiance and service are also lovely. The major problem is that it’s hard to leave with a satisfied belly. Because you’re mostly eating raw mushrooms and vegetables that are high in water and low in calories, you might not feel full even after ordering the entire menu and spending a good bit. So our advice is: go, but 1) find a date who really appreciates culinary creativity and 2) maybe eat a snack before. It’ll be the most unindulgent indulgence you’ve experienced. Sometimes it’s good to be all over the place. 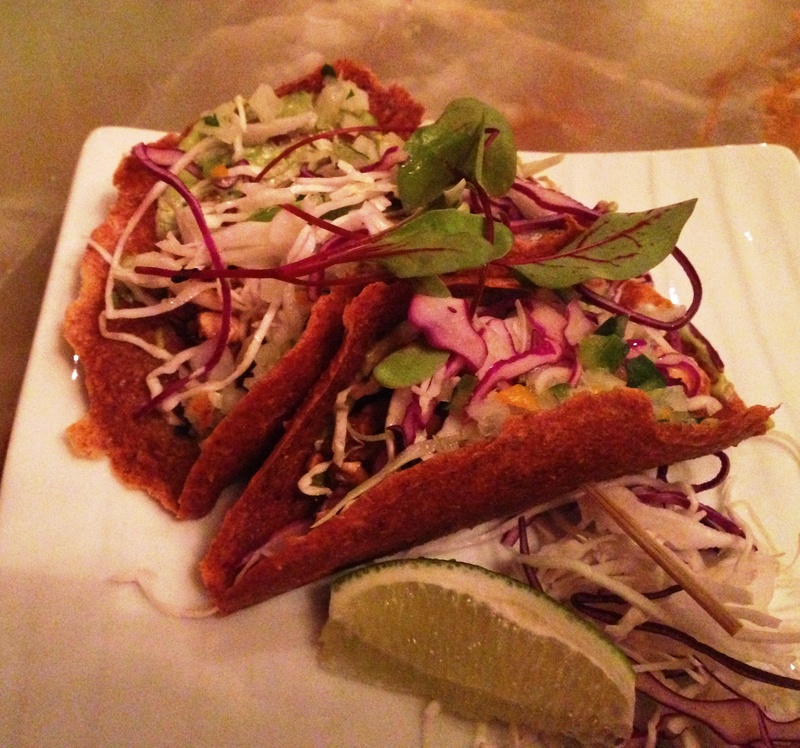 Take 14th Street’s Compass Rose, inspired by the owners’ street food-eating, globetrotting tour of over 30 countries. The menu bounces around from El Salvador to Peru to India to Georgia (the country) and, like most international trips, reminds vegetarians that it’s the fry that binds us. Navigate the snack section carefully to avoid filling up too early. This is easier said than done when presented with fried yucca, three dips and fry bread, grilled bread, and a baked but also fried potato. 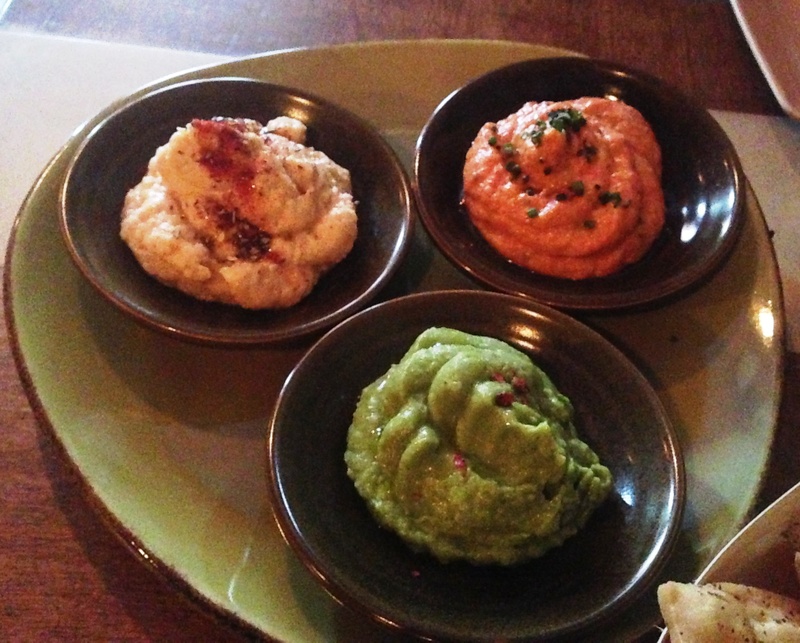 The dip trio included a delicious red pepper and feta puree and simple but tasty hummus and kale white bean spreads. ‘Fry bread’ turned out to be lighter than we had imagined – crispy homemade chips sitting somewhere between pita and tortilla. We abandoned all temperance at the ‘Veg and Bread Cart’ and ordered one of each. 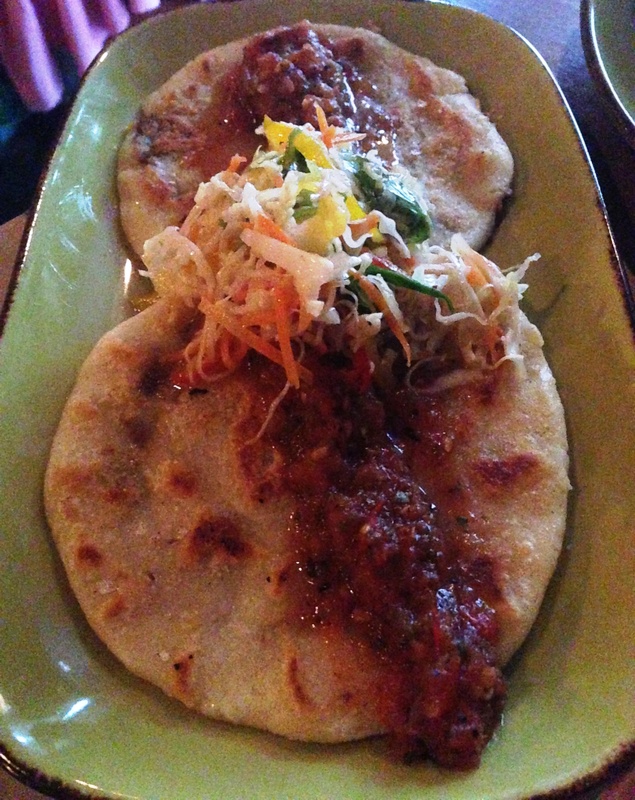 The pupusa stuffed with mushrooms, truffle oil, and cheese was tasty, but given what was coming, not necessarily worth the grease factor. Indian bhel puri offered a break from the usual puffed rice-laden version with a creative twist, served Thai lettuce wrap-style with peanuts. Still, we hadn’t quite hit our moment of bliss. Then, our last two items came out together and the moment was upon us. 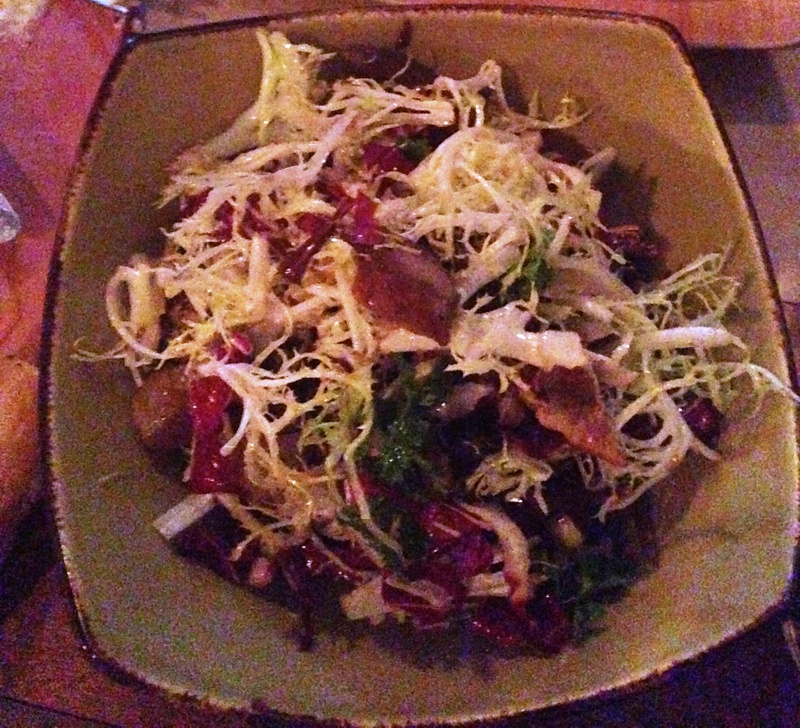 The treviso salad of frisee, roasted sweet sunchokes, crispy roasted artichokes, and lemon, was earthy, tart, and divine. 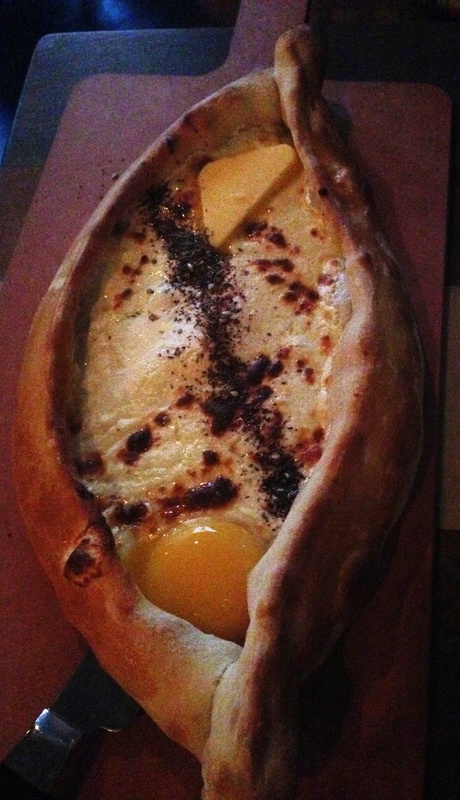 We feasted on the salad alongside khachapuri, an indulgent canoe of yeasted crust filled with curd-like Georgian cheese, an egg, and a wedge of butter all swirled together before our eyes. We dug in wishing we had left more room or, I guess, brought more people. I’ll be back soon to concentrate on the winning combination, but am confident that the OTHER fried carbs on the menu (especially that baked fried potato) are worth a taste. The real challenge at Compass Rose is how to trot around the globe without feeling the weight of the world…in your belly. 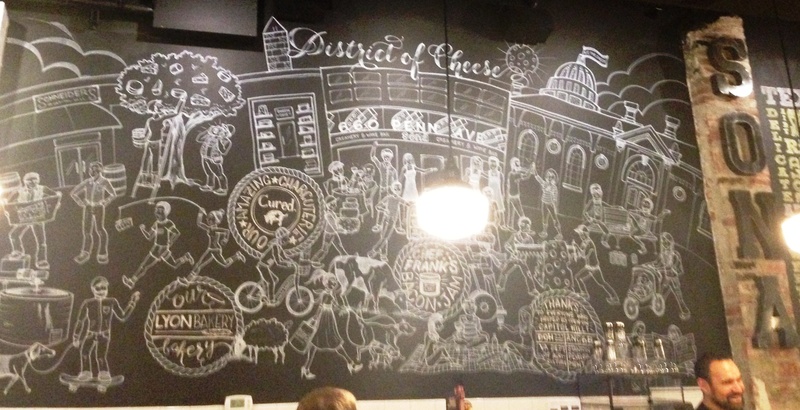 Sona Creamery in Capitol Hill is a delightful new cheese store and wine bar. 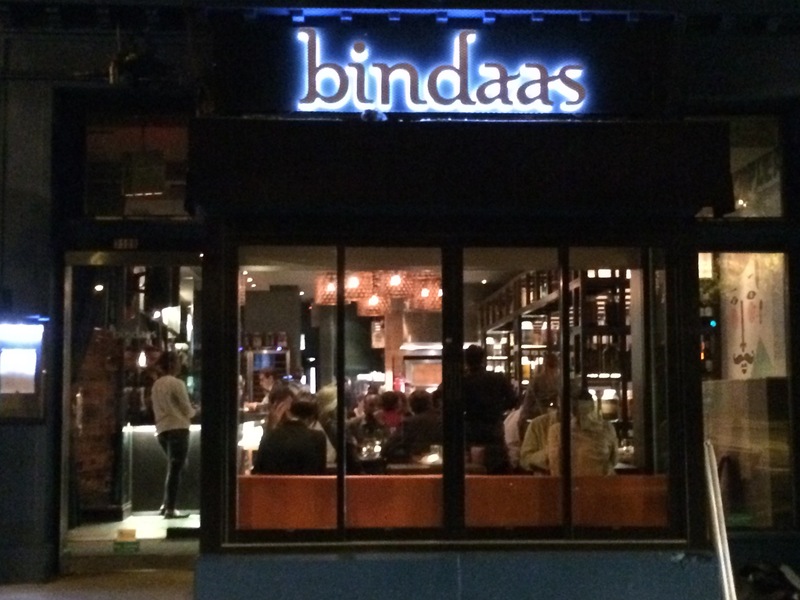 Does it also deserve to be a dinner destination? It was a tough job, but we rose to the challenge to find out. Lunch and dinner menus are cheese-heavy as expected, even more so for vegetarians. While meat-eaters can choose dishes with a range of ingredients from brussel sprouts to sweet potatoes and eggs, the only thing close to a palette cleanser for vegetarians is a salad of bibb lettuce (also served with cheese). We forged ahead, vowing to eat nothing but steamed vegetables for our next meal. 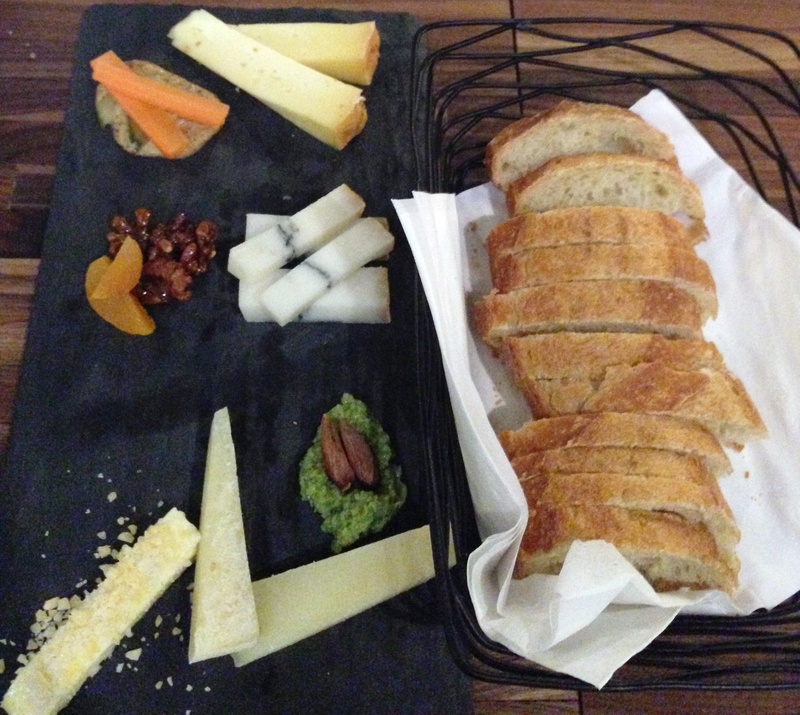 Selections from the cheese board are nicely varied by region, animal, and style. Each is paired thoughtfully with accompaniments. Our Italian Pantaleo goat’s milk cheese, described as ‘herbaceous and citrusy’, was served with a lemony bright green olive puree and smoked almonds. The earthy Ardrahan cow’s milk cheese was nicely brightened up with roughly ground mustard and pickled carrots. The brown butter flavor of our third, a semi-firm cow’s milk cheese, was well-complemented by caramelized walnuts and dried apricots. And the butter. Oh, the butter. I’m not sure how a wedge of butter could overshadow a plate of top-notch cheeses, but this one came close. Sprinklings of pop rocks and thin shards of sea salt intensified its sweet cream flavor to such ridiculous heights that we kept probing our server for more information (she kept swearing it’s just regular butter). 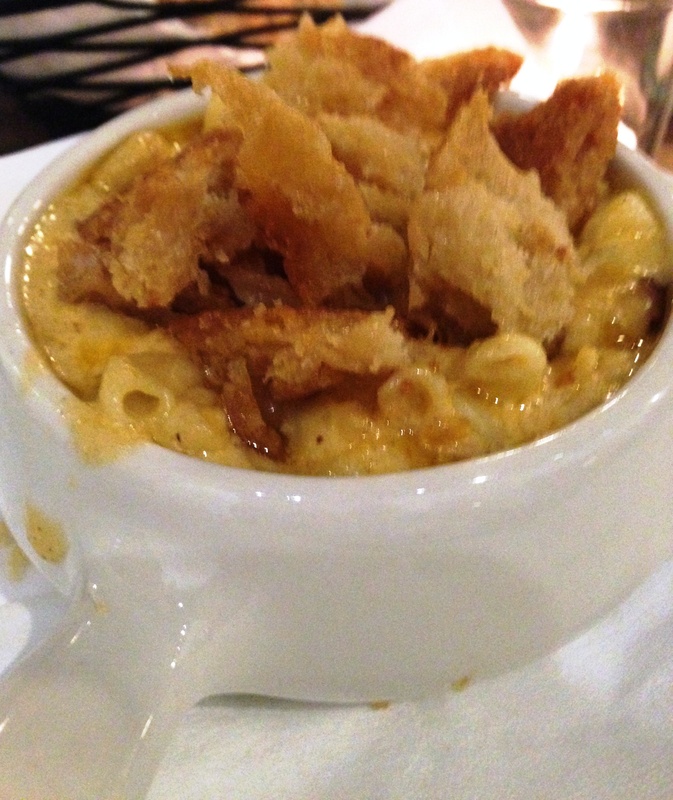 Sona’s mac and cheese is made with a varying blend of cheeses every day. 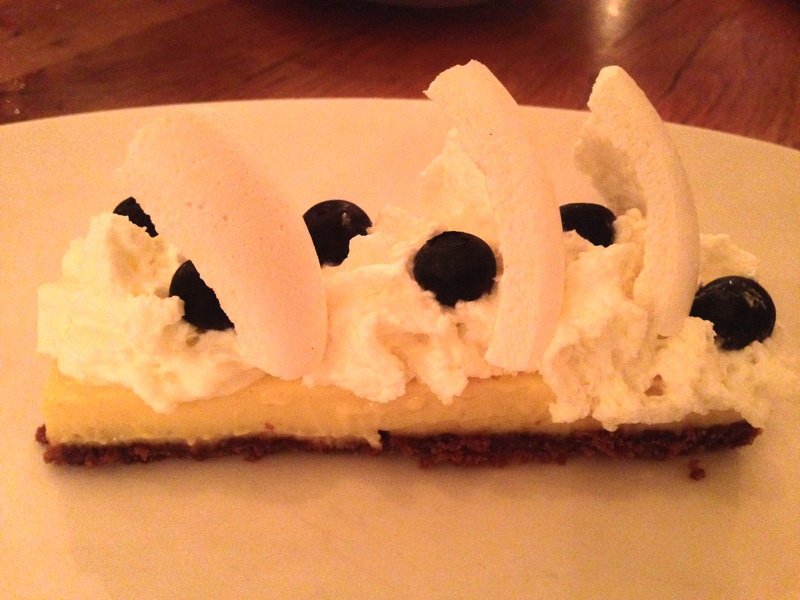 Ours met expectations of both gooeyness and sharp, complex flavor. We could have done without the mountain of fried bread, which was appealing at first but quickly became a greasy distraction. 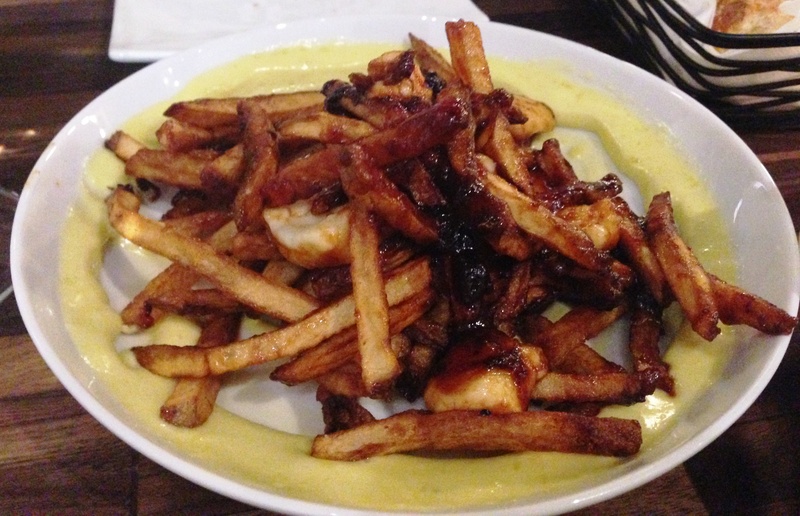 French fries are served with cheese curds, aioli, and mumbo sauce. The curds, pan-fried to crunchy/chew perfection, were gobbled up at once, and the curried aioli made a nice dipping sauce. 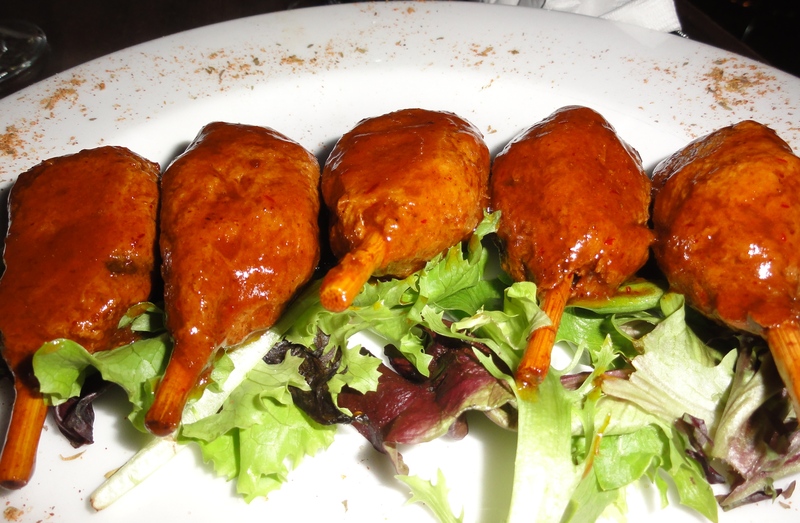 However, we found the drenching of sweet, sticky mumbo sauce to be overwhelming. Order it on the side unless you’re a huge fan. The dessert menu currently includes goat cheese ice cream and chocolate fondue with bourbon and sea salt. Although the ice cream, served with lemon curd and graham cracker crumble, sounded nice, we decided to go with not cheese and ordered the fondue. While it’s a rich blob of dark chocolate with just the right amount of salt, it’s a very small blob (especially priced at $14). Also, a ‘splash’ of bourbon was just that – a bit jarring in this context and competing, rather than blending, with the chocolate. We did still enjoy our few bites of chocolate with oat biscuits and meringues. Unfortunately, the green apples and salty hard cheese were out of place, seemingly returning from another time in our meal. I guess we finally reached the point of not needing cheese for cheese’s sake, which could be interpreted as a sign of success. 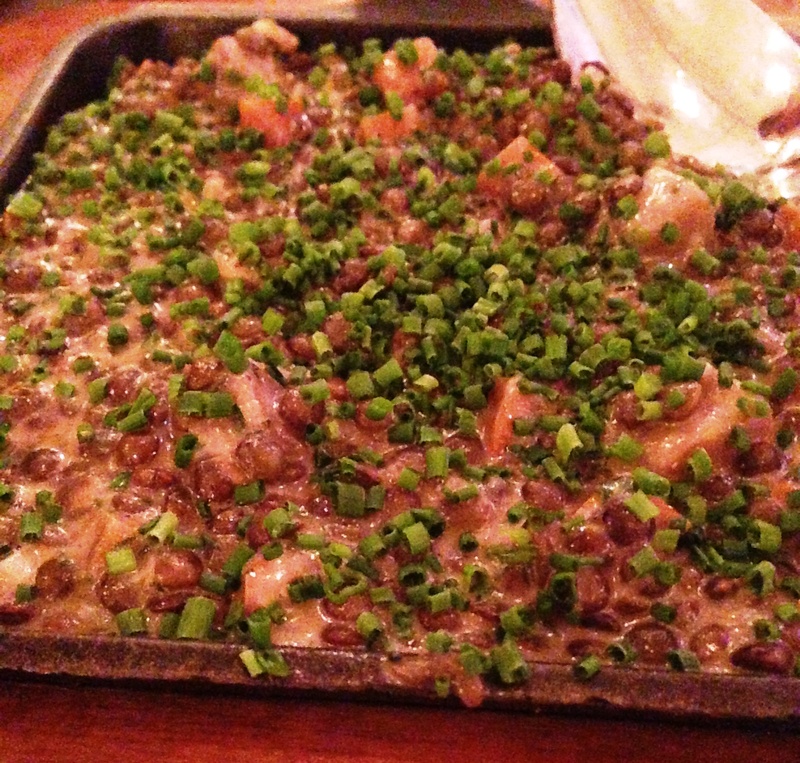 Sona is worth visiting for the cheese-and-carb-fest that we all occasionally need. You don’t even need to break the bank – go on a weekday between 4 and 8 pm and get $6 house wines with your meal. 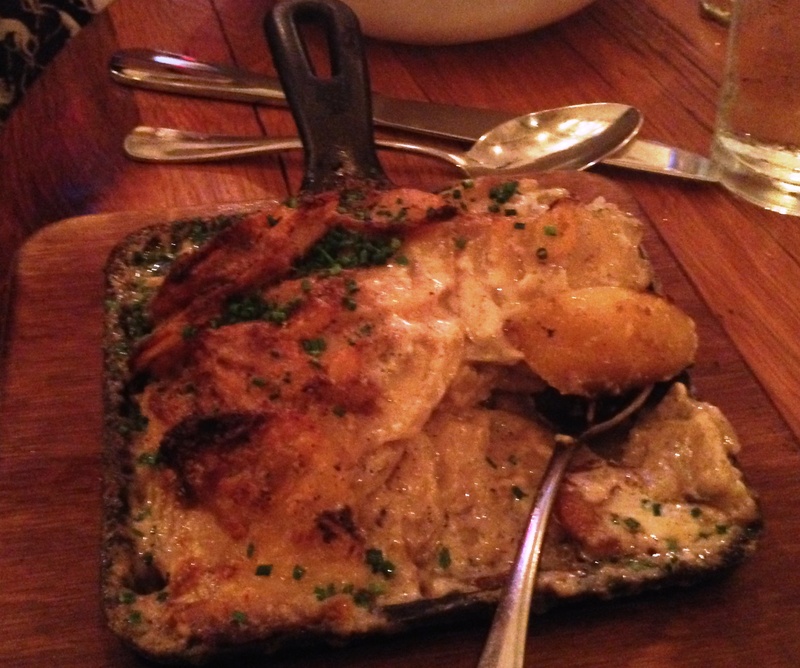 Still, we hope for a couple of cheese-light, vegetable-heavy vegetarian additions (cauliflower gratin, while tempting, doesn’t quite fit the bill) to round out the menu. How else are we going to get around to that grilled cheese stuffed with mac and cheese? Dumplings and Noodles and Curry, Doi Moi! Doi Moi sounds like everything that’s groan-worthy about new restaurant trends: a promise of authentic flavors inspired by “street stands, stalls, and storefronts”, served in a sterilized, stylized, and overpriced setting. 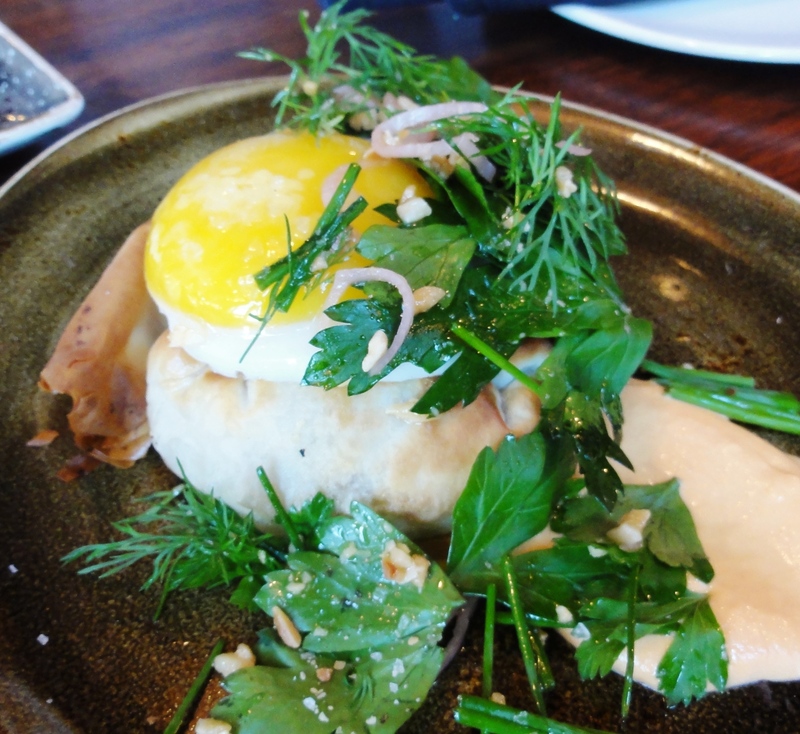 Still, the sizable vegetarian menu (a silver lining of mainstreaming southeast Asian cuisine) lured us in on a recent Saturday. 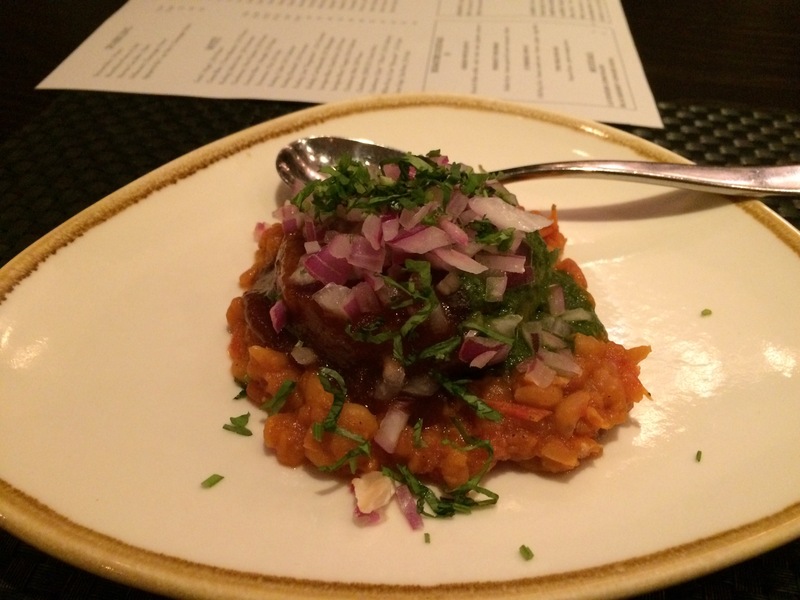 A separate vegetarian, vegan and gluten-free menu is available on request. Starters include fried cashews, steamed dumplings, radish cakes, tofu salad, and a crispy morning glory dish that immediately reminded me of Rasika’s palak chaat. Although missing the complexity of its more famous counterpart, crispy morning glory delivers a similar delicate crunch and sweet and sour saucing to balance out the oil. 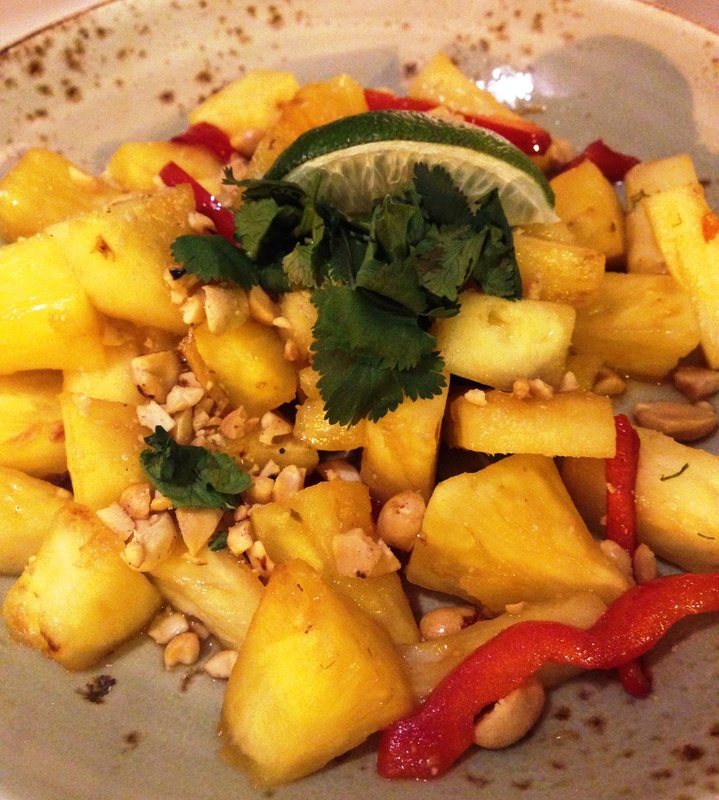 A number of sides caught our attention, including stir-fried pineapple with red peppers, peanuts, and cilantro. Gentle stir-frying brought out even more of the pineapple’s flavor in this simple dish, which provided sweet relief from the fiery mushroom curry (see below). 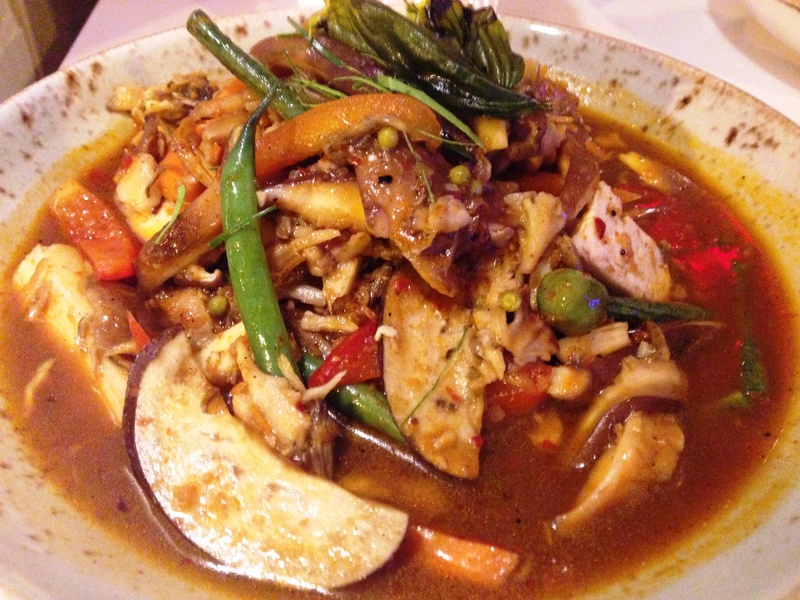 Items on the menu labeled as ‘Phet Mak’ (‘really spicy’) are just that, and generally can’t be toned down to order. The spice factor didn’t stop me from ordering Gaeng Par Hed, or mushroom curry with house-made tofu, but it certainly stopped me from eating very much of it. The deep brown broth was flavorful and fresh and HOT. I ended up draining the wild mushrooms, green peppercorns, tofu, and other vegetables before eating them, all the time envying those who can handle it. As we left to take care of my runny nose I was already thinking about what I’d like to try next time – fried cashews or crispy radish cakes (both favorites of our friends) to start, stir-fried noodles with trumpet mushrooms, butternut squash cooked in coconut milk, or if I’m feeling brave/dumb again, ‘Phet Mak’ sauteed green beans with Sichuan pepper. 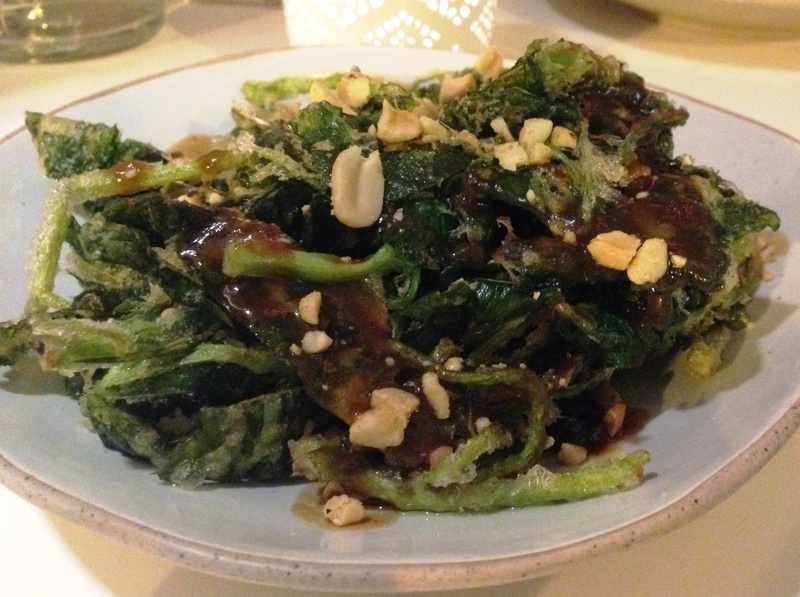 The great thing about Doi Moi’s substantial and varied vegetarian menu is that repeat visits can each provide a unique experience. And although we’ve all heard how well you feasted on the street in Thailand for under $2, the curry and noodle dishes on the menu are large enough to keep the sit-down version reasonable by DC standards. Smoke and Barrel in Adams Morgan, located where the once-loved Asylum served up vegan brunches, is one of my favorite spots in the neighborhood. First, a couple of things to know. A place to get a salad. Or any kind of vegetable, for that matter. A place to have a light meal. A place to go on a night that you’re DD. A place for beer. Especially anything dark, aged, and strong. A place for fatty vegan barbecue, burgers, and loaded up baked potatoes to wash your beer down with. 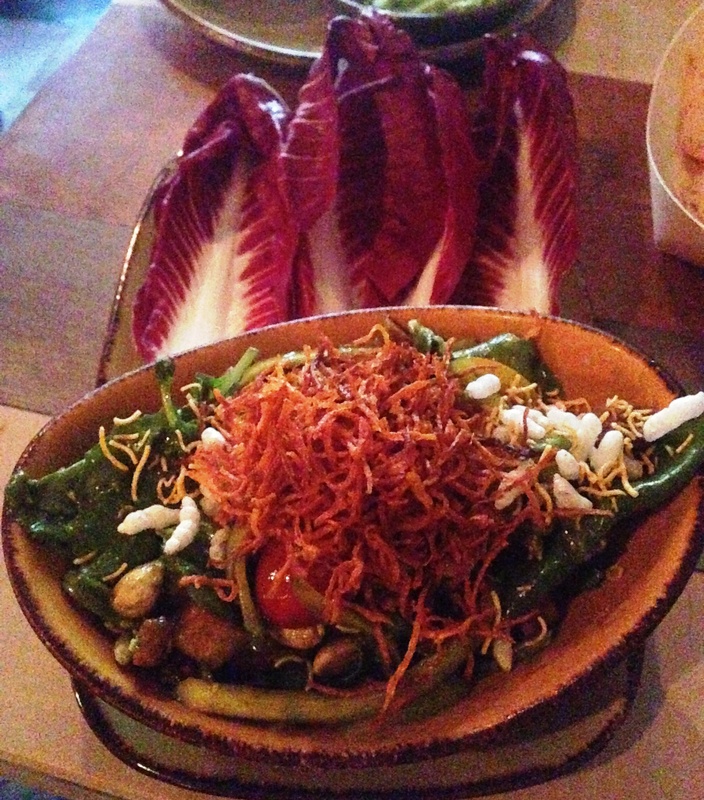 Most everything on the vegetarian menu is a good bet. Vegan wings with chipotle honey butter are delicious. Ask for extra butter for dipping if you’re not counting calories. Add a side of creamy mashed potatoes (secret ingredient: cream cheese) and some smoked asparagus (I lied when I said no vegetables at all) and you’re in for a heavy/heavenly meal. Other winners include the sweet potato oat burger with pecans in the patty and the vegan ribs. I stayed away from the ribs for a while because the idea of a recreated rack of something sounded scary. It turns out it’s more like a stir-fry – soy and seitan in a sweet and spicy sauce, tossed with red and green peppers, onions, and pine nuts. At least one non-vegetarian has been known to sneak a few bites while eating their own actual ribs. 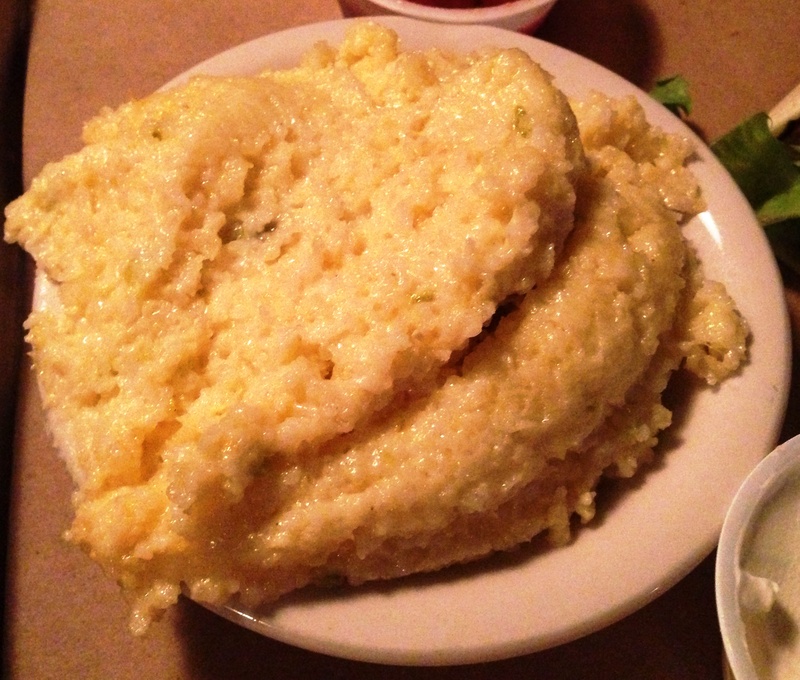 Unlike a disappointing number of cases where cheese and other flavors are promised in the grits but don’t materialize, Smoke and Barrel’s jalapeño cheddar grits (and grit cakes) deliver both. 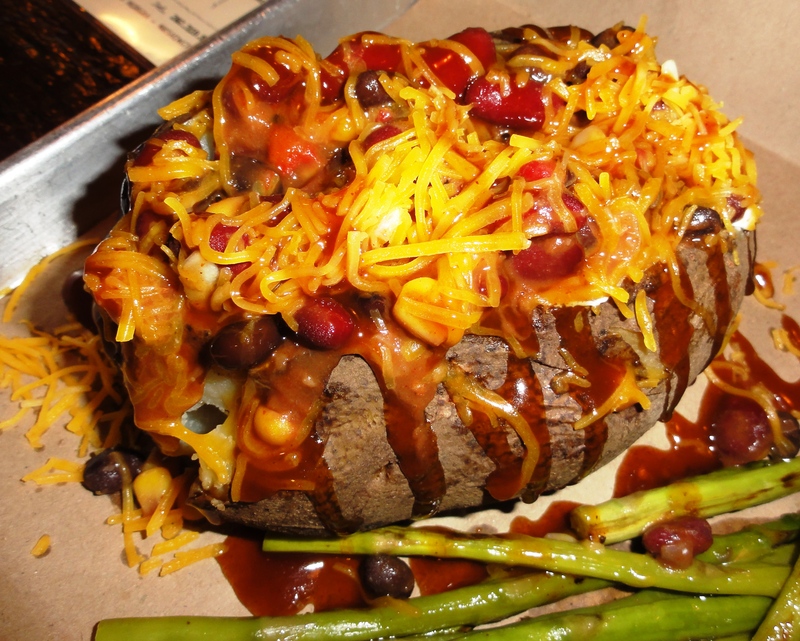 If you’re craving something home-style, the stuffed spud with veggie chili will hit the spot and then some. It’s massive, with sour cream and butter squished into the middle, and topped with a solid multi-bean-and-corn chili and nacho cheese or, on request, shredded cheddar. Nothing you couldn’t make yourself, but would you really make it this indulgent at home? 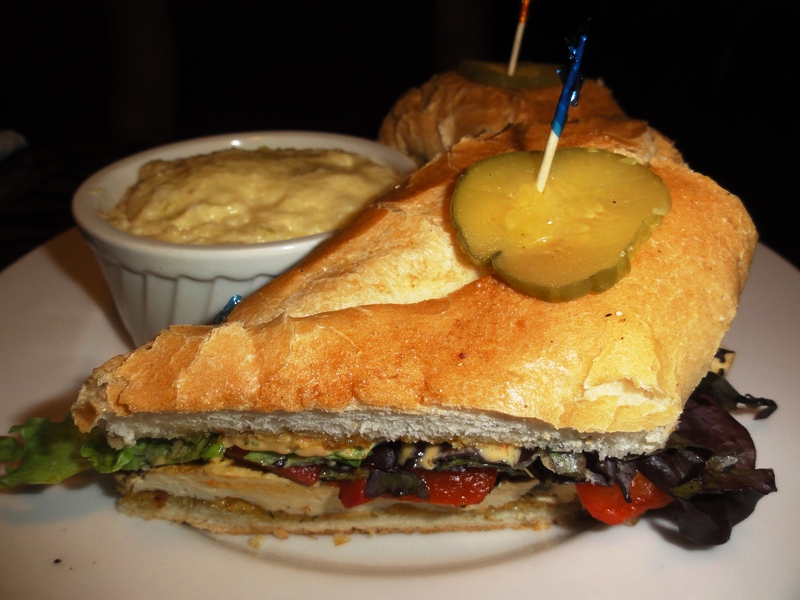 The barbecue smoked tofu sandwich is passable, but lackluster compared to other options. While the red peppers and chipotle aioli provide a punch, the tofu itself is just too mildly seasoned. A good slathering of barbecue sauce is required to keep things interesting. Finally, we come to the don’ts. There’s just one: tacos. Not even on Tuesdays when they are $5 (stick to Mondays instead when wings are discounted and meatless specials are on rotation). Veggie chili or smoked tofu are spooned into cold, tasteless flour tortillas and topped with no-way-it’s-homemade salsa. 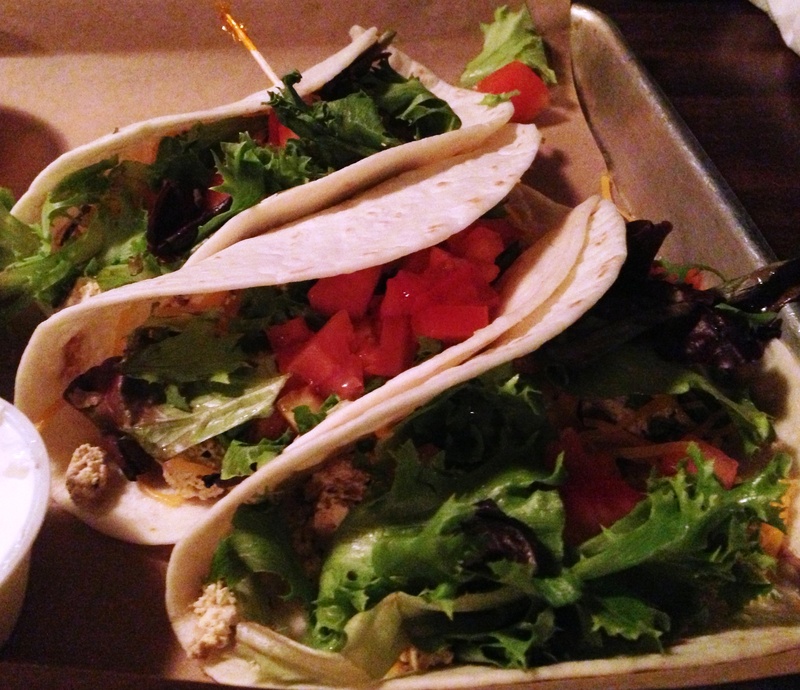 I’d wish these tacos on an enemy. So now that you know, get yourself to Smoke and Barrel for (almost) all of the above!